Rats. They're a defining feature of life in New York City, rustling in trash bags, scurrying along the subway tracks—and becoming famous for occasionally eating pizza. But these urban vermin may be less of a threat to human health than their smaller, cuter cousins—the city's mice. "They're in your buildings, and they get into your kitchen cupboards, and they get behind refrigerators. So they have a real potential to contaminate the environment that you actually live in." Simon Williams is a microbiologist at Columbia University and the University of Western Australia. 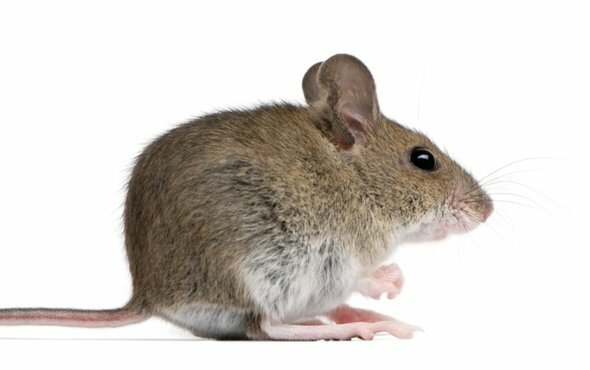 He and his colleagues trapped more than 400 mice in apartment building basements in Manhattan, Queens, Brooklyn and the Bronx. They took swabs of the mice's rear ends, gathered feces from the traps, and subjected both to a battery of genetic tests. The mice harbored an array of disease-causing bacteria, like shigella, Clostridium difficile, salmonella. They also carried a suite of antibiotic-resistance genes, and viruses associated with insects, dogs, chickens and pigs. Mice from a Chelsea apartment building had the most pig virus—perhaps, the scientists say, because they live near the Meatpacking District, which used to have pork processing facilities before fashionable nightclubs took over. The details are in the journal mBio. The mere fact that these microbes can be found in poop, though, isn't cause for immediate alarm. "You know we're not saying these bugs are all out to get us. But we're just finding the genetic footprint of these bugs. They're indicators, but we're not saying they're necessarily out there and there's a huge problem. So just keep calm, in terms of the public health response." Further work might tease out whether there's transmission of bacteria between mice feces and humans. Until then, there are plenty of other New Yorkers to investigate. "Cockroach would be an amazing one to go onto next. I think they have real potential." We give a battery of tests to each patient. I was confronted with an﻿ array of knobs, levers, and switches. Cars gradually took over from horses. To tease out the relationships between sleep, starvation and survival, the researchers deprived fruit flies of both food and sleep.